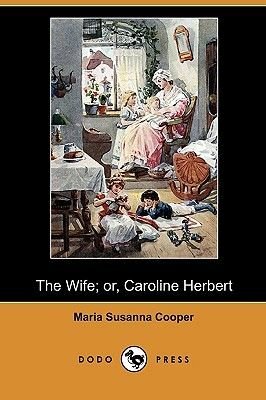 Maria Susanna Cooper nee Bransby (1737-1807), was an English author and poet. In 1761 she married Reverend Samuel Cooper. Her works include: Letters Between Emilia and Harriet (1762), The Wife; or, Caroline Herbert (1762), The Exemplary Mother; or, Letters Between Mrs. Villars and her Family (1769), The Daughter; or, The History of Miss Emilia Royston, and Miss Harriet Ayres (1775), The History of Fanny Meadows: In a Series of Letters (1775), Jane Shore to her Friend: A Poetical Epistle (1776) and Benigna and Malevola: A Moral Tale (1793).